Wonderful and the best review of Ignis I have read so far (not expecting anyone will beat this). Maruti has really gone bad with the pricing of Ignis. Went to the Nexa showroom on Sohna Road, Gurugram the other day, did not like the interior quality and seems like a downgrade from Swift which is similarly priced (even though next generation is expected next year). Though, I would love to see a similar interior in WagonR making the real tall boy a good steal. Amazing review as always!! Well worth the wait, considering all the transmission combinations were covered. And going by their marketing and some initial bhpian reviews, I was under the impression that the Ignis is a t least a little more premium than the run of the mill Maruti. But the strictly average Plastics with the NVH that isn't anything great at highway speeds and no underbody protection tell a lot. As much as I don't like Hyundai that much, they do better in the comfort department and their NVH tolerance is really low. The good ride and handling is great to know, but then that has always been Maruti's forte in this segment. And with this pricing being more or less at par with the Swift(Except for the Alpha, which is like ZXI+), I wonder what will the new swift cost when it comes next year. That also seems to have more space(acc to some international reviews I saw), so I guess anybody willing to wait would do good by waiting for that. Right now, the only compelling reason to go for the Ignis would be the spread of engine options with the AMT. An unbiased review worth waiting for. It appears that the quality of Ignis could have been a notch or two better considering the price. That's a fantastic review guys. I wouldn't say the same about the car though. I checked out the ignis in person and was disappointed first by it size. I thought it was replacing the Ritz but it is just one size bigger than my altok10. Though the cabin was roomy, the sitting bench was way too small and uncomfortable especially at the back. Then I finally saw the pricelist and I was like " is this for two cars?" BTW a comparison with Tiago AMT would be interesting. Contrary to Maruti, Tata is offering the AMT version in the top model only at lower price which gets additional features that are not present in the Ignis Zeta. Also the OTR price difference is 50K in Kolkata. Fantastic review! The smaller details covered in Team BHP review cannot be matched by anyone else! Coming to the car, I think it's a bit of a gamble by Maruti. The design isn't very clean and you get a feeling that they could have gone for a much cohesive one at the rear. 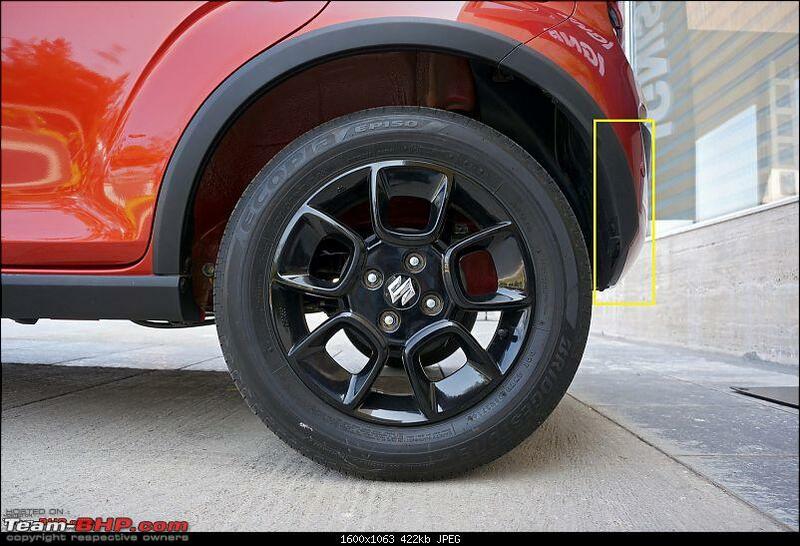 The Ignis and the KUV100 are two recent cars where the design seams totally mismatched beyond the B pillar. I checked out the Ignis and came away very disappointed. The lower and mid variants without the so called tablet display and the auto climate control units are very outdated to look at! Maruti will fail with the Ignis here if they don't at least make the HU standard. I mean this whole talk of millennial customers etc and you plonk a horrible looking HU which projects out of the dashboard for all of the variants except the top most one. And to make it worse, the well priced AMT versions don't get the HU as well. I would go against the tide to say that the Ignis is nothing special, it aspires to be but fails miserably at it. The swift when launched in 2005 was a far better car with a much more cleaner design and it appealed to young consumers then. With the new swift due next year and the pricing expected to be just a slight premium over the Ignis, why would anyone buy a car that looks odd? That's an excellent comprehensive report ever written on the Ignis, there could be no better report than this. It's a pity that Maruti does not look into protecting the underside of the engine compartment. At least for over pricing this vehicle they shouldn't have compromised with this feature. Last edited by Gannu_1 : 16th April 2017 at 17:43. Reason: then > than. Please proof your posts before submitting. Typos and punctuation. Excellent review Aditya. Before the official review, I did not have positive thoughts of Ignis. This was basically by looking the vehicle in flesh on road. The rear was not at all to my liking. However, the detailed review has thrown up points where Ignis scores better than its competitors. Coming to safety, the Ignis gets two airbags, ABS + EBD, ISOFIX child seat mounts and seatbelt pretensioners with load limiters as standard. Though this is a welcome move, the Ignis in its European spec, which comes with front, side and curtain airbags, was awarded just 3 stars in crash tests. One suggestion to the review team. We in our forum stress so much on safety aspects. It will be better if our team comes out with a minimum list of safety features and puts it in a table with a tick mark against those feature which are available. A table grabs more attention than a paragraph. So many people read our reviews and a table will grab their attention as to what all safety features they are missing. For example, Number of airbags - 2, driver airbag - check, passenger airbag - check, side and curtain airbag - miss, ESP - miss, ABS - check and so on. Excellent review The attention to detail in covering the various aspects of the car is mind boggling. The big plus of the Ignis is the presence of the Dual Airbags and the ABS + EBD across all variants. Maruti needs to be appreciated for providing this. However, they did miss the AMT in the Top End. Given that the Delta is selling 50%, it proves that this is an overpriced car and people feel only the Delta variant to be Affordable/Value for Money. Last edited by vsrivatsa : 16th April 2017 at 19:27. Thanks for a great review! Disappointed to note the Diesel AMT doesn't drive well. I know its not the most popular choice here, but I love the design of the Ignis inside out. Its got a lot of attitude and character. Its also reasonably spacious given the footprint and got great ingress and egress. And I also like the plastics on the inside and the seats - its great as a second car at home for the city. Would have loved to own a Glistening Grey Alpha. But there are a few issues. 1) MSIL could have given it the powertrain from the now retired A-star AT instead of the AMT. I wouldn't mind missing a cylinder and a few horses for the torque converter. It would have been the perfect city car. The low end torque of the K10 is greatly masked by a proper torque converter in the A-star. And I think both cars also weight about the same. The older Suzuki has brilliant build quality though - the chassis mainly, which is missing on the Ignis. 2) That EPS unit is quite bad. Wish MSIL could have made it a bit more predictable. Light yes, but a bit more feel would have made it very good. I was disappointed when I took the petrol AT for a spin. 3) Given the kit on offer, the Alpha is very expensive. And that's one reason MSIL has't equipped it with an AT which is a stupid move for a urban compact. 4) I think the Zeta should also get the touchscreen unit. The current HU looks so tacky. 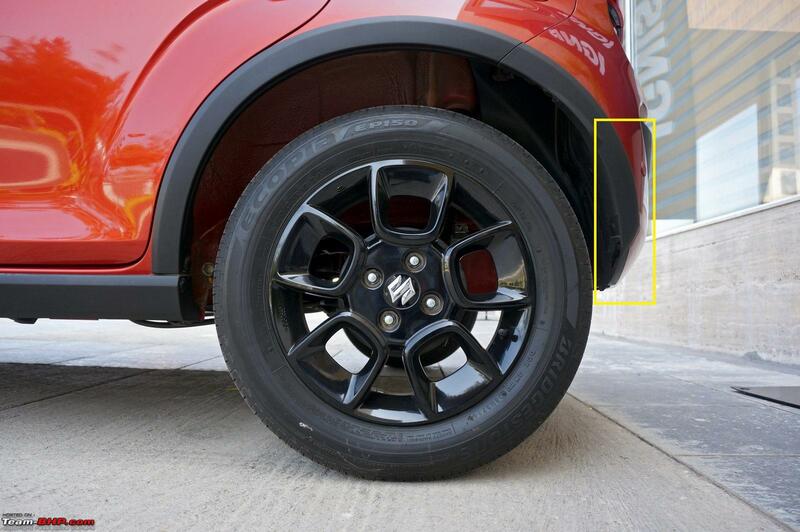 MSIL could have easily given it considering the Kwid from A segment gets it. Excellent review. Thanks for the same. The top end is the one to go for. But the new pricing standards for top variants are pushing the limits. The difference in EMI maybe a few thousands but is no justification for such high OTR. Companies are taking advantage of psyche of the common man, first warning him of accessorising voiding warranty, second one not wanting to not go thru hassles of going for multiple accessories after buying a lower variant. MSIL has played it cautiously. They are not producing 10K units of Ignis per month and with 5K units, the waiting period is between 2 - 3 months. Why to loose profits when the customer is ready to wait. Also being a Nexa product, it has be sold at premium; I am sure MSIL will take a note of market response to the product and whatever features are not provided in the middle trim will get added in the next iteration. Also as review suggested, even new features including auto head lamp et. al. for which dummy fillers are kept will find their way in the car. All this will make it a desirable to a great extent. It can also happen that MSIL pricing has accounted for GST impact, which may result in price correction by competition. I would hold on for some time to say that MSIL has not done enough market research and planning before the launch of Ignis in India. Thanks for such a detailed and qualitatively superior work. Such comprehensive coverage..Kudos. Huge effort on your part. Well done. I am sure spare parts market will do some jugaad and bring stuff like under carriage and engine bay protection etc. Just need some volume. Wonderful report, Addy & Suhaas. Take a bow! Some of the detailed photographs and your in-depth observations are absolutely fantastic. Mass-market premium urban crossover compact hatchback - stretch that definitive phrase any more and you might end up with a LWB version of the definition of, quite possibly, the shortest "premium" car available in any of the world markets today (with due respect to the Mini Cooper). The quirky, oddball styling from the front & side profiles, and with THAT rear, and one would normally think that this is one impossible sell for a salesman to a demanding, image-conscious customer who has umpteen better-looking options at his disposal, in a very competitive market. But no. It's a Maruti-Suzuki offering. In India. 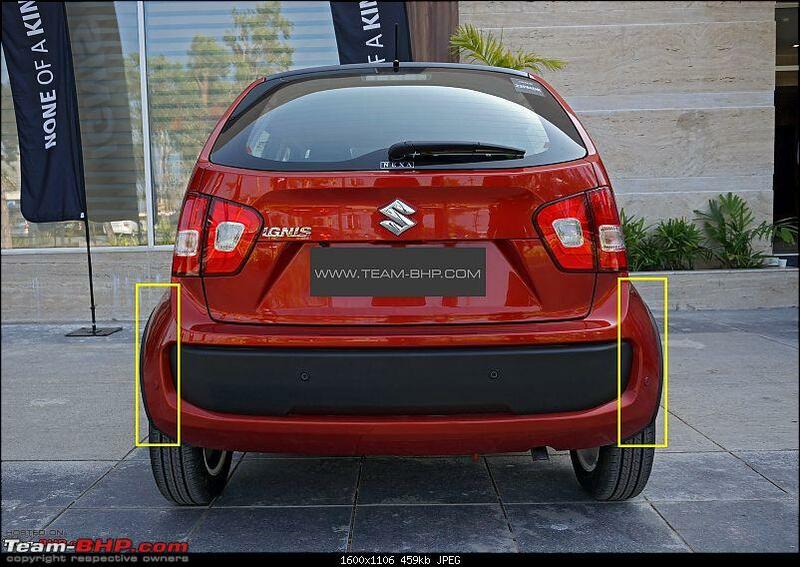 Now, take that very thick and cheap-looking plasticky rear bumper insert and add it to the rear profile, and one is forced to wonder if that rear is actually worthy of that 9-lakh rupee OTR price tag. But, ugly to one is beautiful to another. And the definition of beautiful has changed with the changing times. Maybe it's just me, and I need to get my eyes and brains checked to re-align myself with those who find the Ignis good-looking. But for now, I honestly think some car designers of yore must be twisting and turning in their graves! Holy cow! What is that bumper section supposed to protect? Seems as though even a pedestrian, who stumbles and touches that in any slight way, might make it cave in! 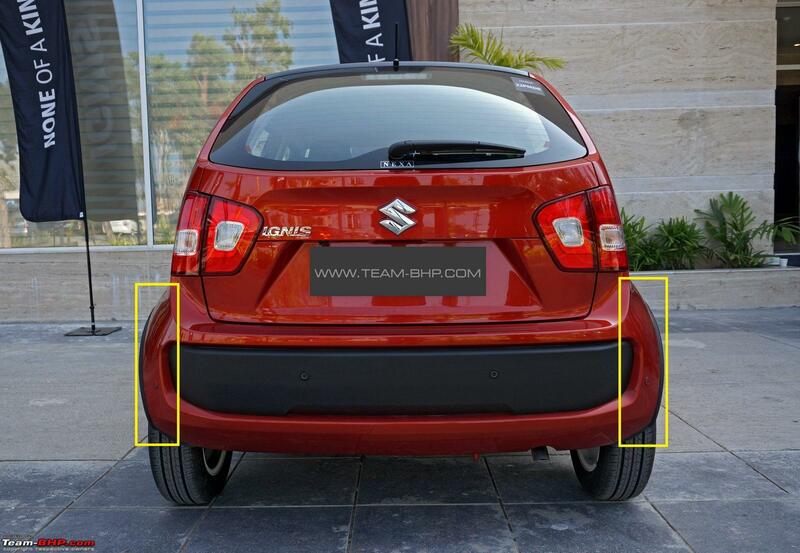 Seeing the comparative pictures in the opening posts - even the WagonR has a thicker section! And I thought the Swift came with a thin rear bumper! I shudder to even think what would happen if this car got rear-ended, even by a motorcycle inside the city! "Buy this, and we can sell you anything - even a brinjal at an Alphonso mango's price!" All times are GMT +5.5. The time now is 01:49.